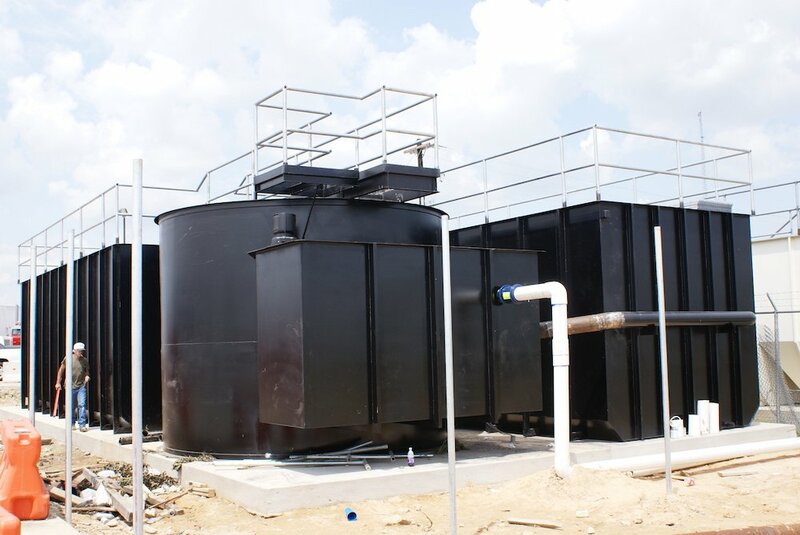 Aerobic Wastewater Treatment System Design | Tex Tech Environmental, Inc.
Each Aerobic Wastewater Treatment System is individually designed to meet the specific requirements of your facility and to treat the domestic sewage that will be generated at your location. 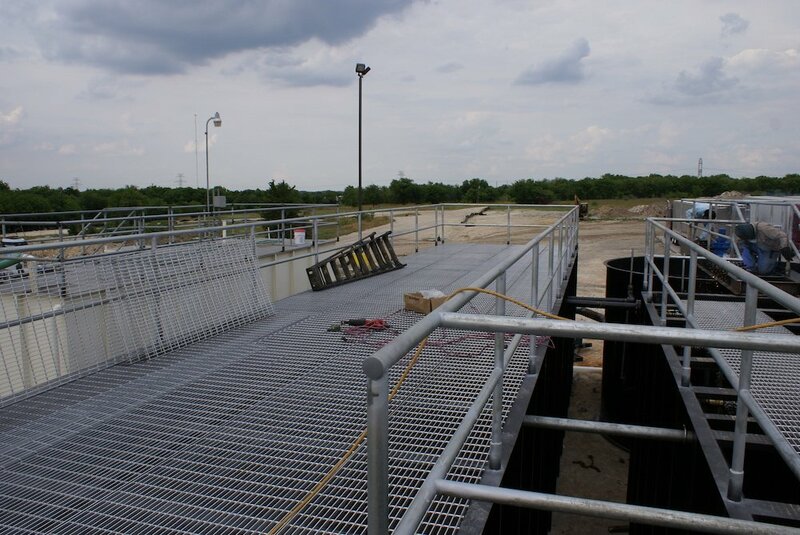 We custom manufacture wastewater treatment plants out of 1/4 inch plate steel, which is sand blasted near white and coated with a minimum of 20 mils of epoxy paint. Each system is fabricated at our Burleson, TX fabrication shop. 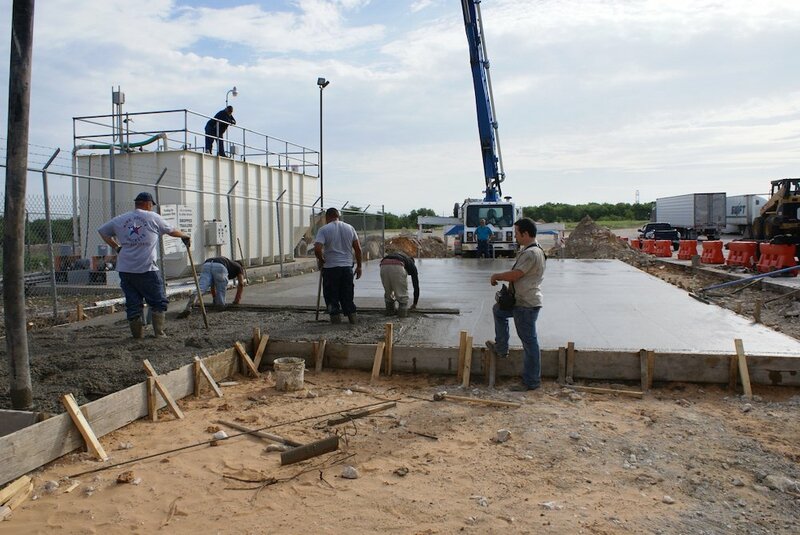 We have over 40 years experience upgrading and replacing existing wastewater treatment facilities. 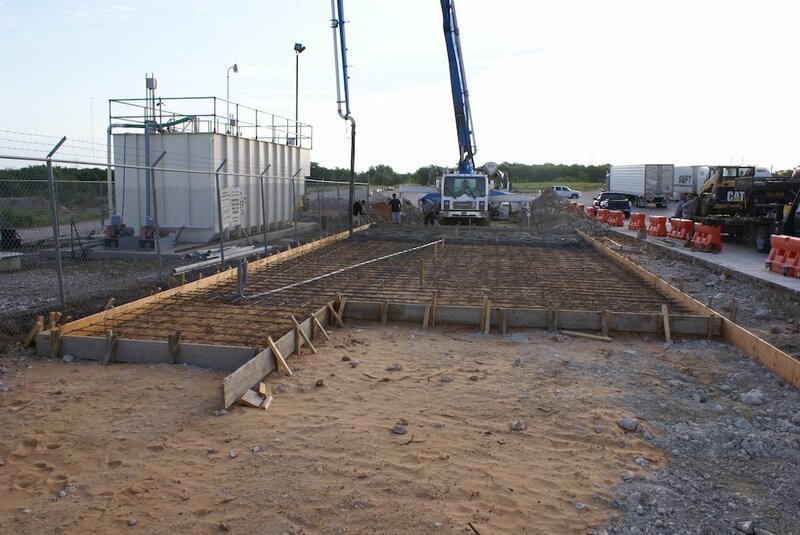 New treatment plant set in place on concrete foundation being made ready for operation. Top view of new wastewater treatment plant sitting next to existing plant.